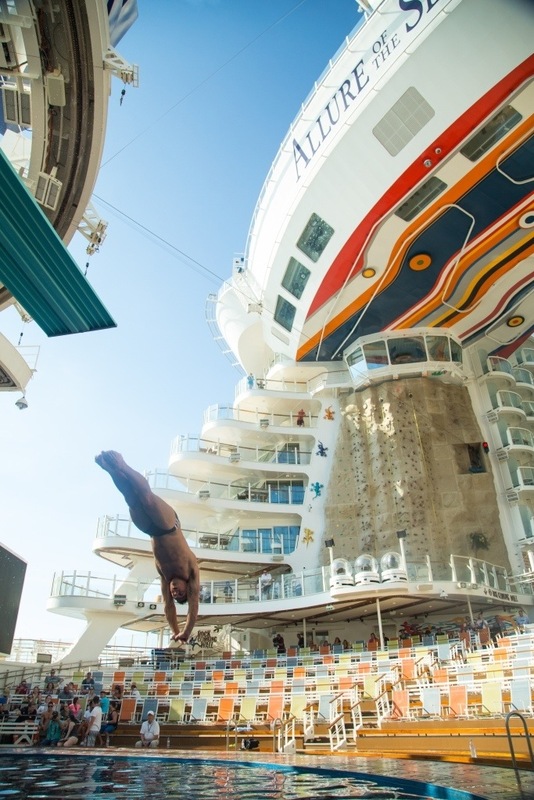 British diver Tom Daley took to the high board and surf machine on board the world’s biggest cruise ship to publicise Royal Caribbean’s new line-up of Caribbean sailings. The 19-year-old star of diving show Splash! 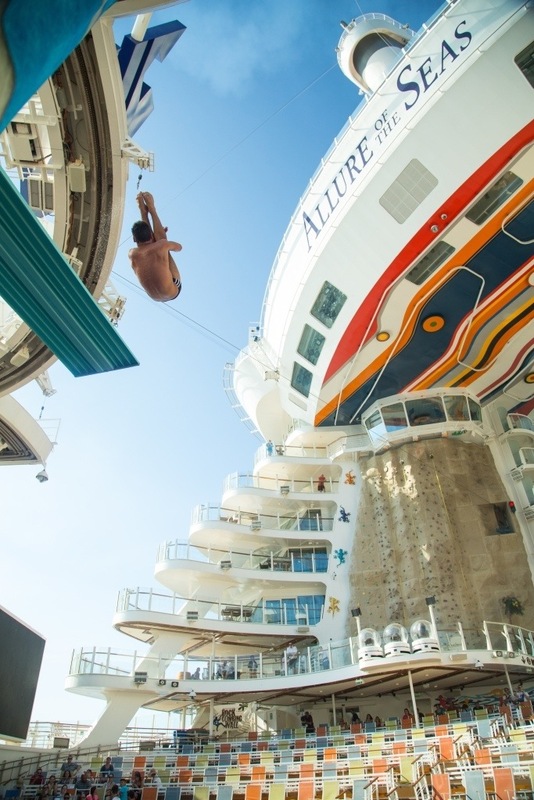 on ITV, along with Australian swimmer Ian Thorpe and American gymnast Gabby Douglas, also took part in rock-climbing and dodgeball on board Allure of the Seas. A seven-night Western Caribbean fly/cruise from Fort Lauderdale on Allure costs from £1,249 a person, including flights from Heathrow, based on March 22 departure. This entry was posted in News and tagged Allure of the Seas, Caribbean Cup, Royal Caribbean, Splash!, Tom Daley, Tom Daly. Bookmark the permalink. Norovirus – why don’t cruise lines tell you the facts?